He reminds me of a low rent, unkempt Inspector Clouseau, without the brain. 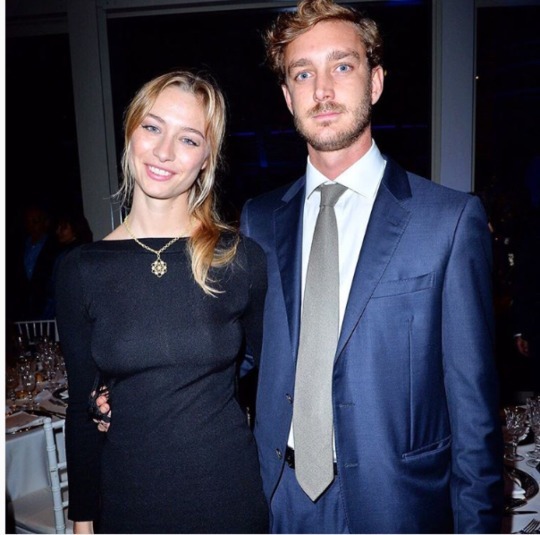 Beatrice Borromeo, suffered a car accident in Milan. 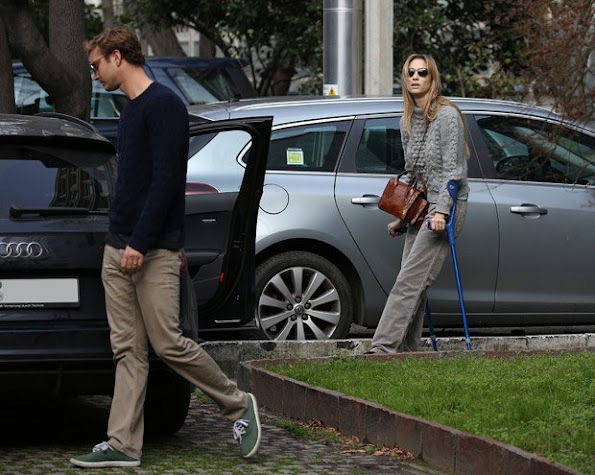 Beatrice was spotted leaving the hospital La Madonnina in Milan on a wheelchair and then walking with the help of orthopaedic canes. Gorgeous Beatrice! I'd love to have her Valentino long lace skirt!!!!! P.s. : in the second pic she is strolling trough Milano's streets with Alexandra and Pierre: it's good to see that she seems to have a warm relation with her sister in law . it's quite rare to see Alex with Andrea or Charlotte, or maybe it's just a matter of age difference with Caroline's oldest children. is not what you intended. In these pictures Beatrice wears the Italian working girl uniform in spring time : classy,but comfortable,tods moccasins,blue shirt,white jeans and some discreet bling. Now she's growing on me. She is articulate and has plans beyond talking about philosophy and modeling. I thought she was an attention seeker politician wannabe, who used serious issues to promote herself and show her pretty face on tv. At least she showed to have some substance, and not a dumb socialite that want to just sit looking pretty and do photoshoots. I'm not sure to what extent she's hypocritical, but if she takes seriously what she says, and go deep in doing serious documentaries and reports, she is an admirable lady. "I'm a reporter, and I have the salary of a reporter. I'm not going to put half of my salary into a pair of shoes. I did it a few times in my life, and it doesn't feel right. You can wear Zara and nothing bad is going to happen to you." Seriously? She's trying to convince people she's actually living on her reporter's salary? Beatrice, reporters cannot afford to live in Monaco, wear Valentino, Armani and tailored clothes like you do, and I am seriously having a hard time accepting that you are only wearing Zara for your day outfits! Also, reporters do not have multiple wedding ceremonies and parties, nor do they wear 4 different wedding dresses. Yes, Pierre comes from a lot of money, and yes, she's rich too, and probably the families paid for the wedding extravaganza. Pierre could be the one paying all their bills etc., and like some of her friends, she could be sitting on the bottom all day, trying to figure out what to wear in the next society event. It's admirable that she is actually pursuing a career, but I can't stand how she's trying to portray herself as another regular woman, who is wearing Zara, H&M and Topshop, and is trying to juggle a career, and doing house chores etc. The woman is seriously dumb. Is she still pretending to be a communist? Her family has been getting her jobs for a while now. She pretends she gets these gigs on merit. LOLOLOL. Yeah, just like the Yorkies get jobs on the basis of their intellect and not who their parents are. common the poor princess had a tough life and she's just like the rest of us poor poor (very) poor mortals. she'll just blend in. That was good for a laugh! I agree that Pierre is probably footing the bill for her lifestyle (and dresses). How much money does Pierre have compared to her family? I always assumed that she was the more wealthy of the two. I feel like she was raised in a bubble and doesn't understand how privileged she really is. I thought (and could be wrong) that his father had some money. I'm sure it's not much compared to her family as one, but I can't imagine him not having inherited something.